Mom, Craig Mager, football, and life … (And oh yeah — I’m back) | shenANNIEgans! Man, it’s been a long time. Today is about mom, and football, and growing up. My mom had a stroke about a month ago. She’s okay (relatively) but it scared the living daylights out of me when it happened. It was the first time I came face-to-face with my parents’ mortality, and let. me. tell. you. … That is not a fun meeting. 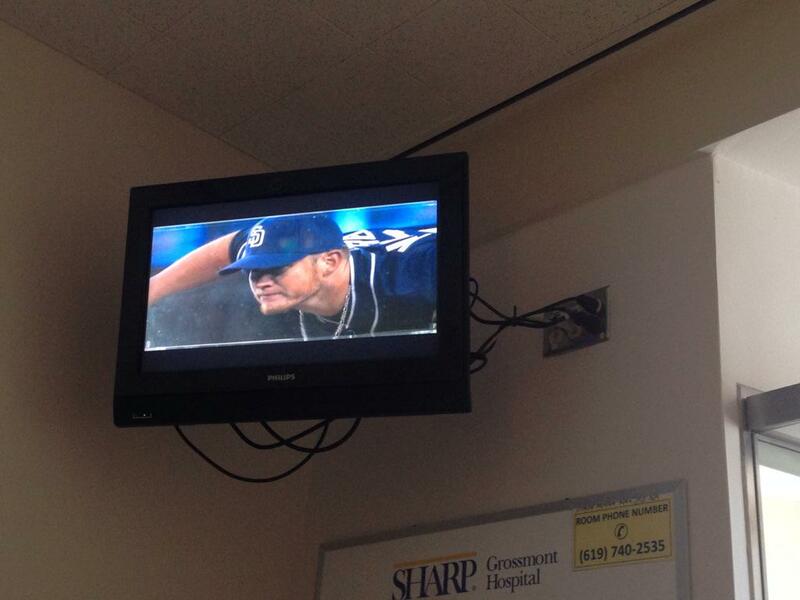 We watched the Padres during her hospital stay. I mean … duh. I’m not old, but I’m not young. Relatively speaking, anyways. Many of my close friends have parents who have passed away, and I know it happens, and The Lion King and the Circle of Life and all that, but it’s still a somber thought and it ain’t ever easy. It’s one thing to have a parent pass away when you’re an adult, but it’s a whole ‘nother thing to lose a parent as a teenager. And this is where Craig Mager comes in. Ah, yes. Cornerback Craig Mager, the player the Chargers selected in the third round of the 2015 NFL Draft. 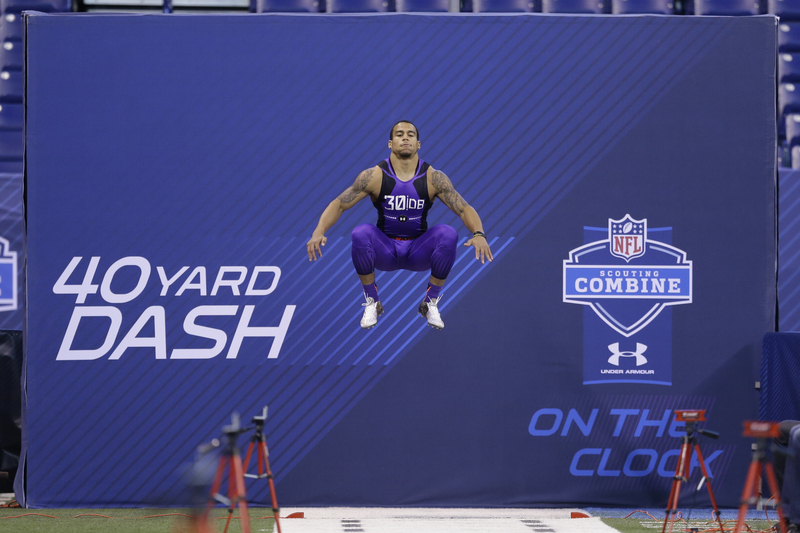 Texas State defensive back Craig Mager at the NFL football scouting combine in Indianapolis. Mager has one of those stories that sticks with you. His mom — (a single mother of four, Mager and three younger sisters) — passed away when he was just 15 years old; a hospital-administered overdose responsible for her death. He had to grow up fast. Though his grandma lived nearby, she was older, and the responsibility fell on Mager to parent his siblings and run the household. While his friends were carefree teens, Mager was doing his best impression of being an adult. He drove his sisters around, made them dinner, helped with homework, did chores, and — oh yeah — played football, well enough to get a scholarship to Texas State. Though he didn’t know it at the time, football would become his sanctuary; the field, a safe place to release his emotions. One of Mager’s last memories of his mom came during a freshman game, when Mager — (then a running back) — was tackled after a play. As he got up, a player on the opposing team grabbed his facemask and some shoving ensued. Mager’s mom, who was sitting in the stands, jumped over the fence and onto the track to try and protect her first-born — an embarrassing moment for the teenager, but one he would give anything to have back. What he would do, indeed. Players come and go. Teams come and go. Jobs come and go. Some stuff, though, just goes. And when it goes, it can’t come back. Mager is a thoughtful, well-spoken young man. He focuses on being respectful and disciplined as a man before all else. He may or may not make it in the NFL, but if he does, the intangible of his mental toughness, his ability to fight adversity and step up when needed, will thread his success story. It’s easy to get lost in your job, or your problems, or the business of everyday life. Believe me, I know. It’s easy to get lost and forget what’s important. Today, my heart goes out to all those who don’t have someone to say “Happy Mother’s Day” to, who have no phone call to make or no present to buy or no annoying brunch plans. To all the rest of us, who still have parents we can hug and love and roll our eyes at, savor the time. Savor it while it’s here. Yeah, I know that you are close to your parents and that is great. I lost both of my parents Dad in 2001 and Mom in 2010. It is the toughest on their birthdays and Fathers & Mothers Day. My Grandmother on my Mom’s side said this. Love all your family members everyday. Even if you have issues with them. I’m so sorry to hear that about your parents, Jerry! Thanks for reading and I appreciate you leaving your thoughts.